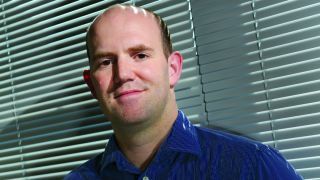 Raspberry Pi's campaign to breathe new life into computer science is well on track, but founder Eben Upton knows that a shake-up of the education system is the real key to a brighter future for Britain's tech industry. Harsh (but fair) words have been thrown at Britain's ICT curriculum by figures including Eric Schmidt in the past. Currently schools teach ICT, which consists mostly of training on Microsoft software. However, speaking to TechRadar, Upton said that there's a common misconception that Microsoft is somehow to blame. "I'm really excited because I think there are a lot of forces working for good," he said, referring to the proposed new curriculum, which will have children learning the basics of coding and being taught to use 3D printers. "There are people in academia, there are people in companies like Google and Microsoft who are working really hard to make sure that the list stays as it is." "If you look at a lot of the people who wrote a lot of this language in this fantastic [new] curriculum, they're Microsoft people. Microsoft are the good guys here," he said. "I don't honestly believe that they want people to be taught PowerPoint." Upton said that he believes Microsoft has no vested interest as far as the use of its software is concerned. "If you end up being employed as a result [of the current curriculum], that's not going to lead to more Microsoft sales." The new curriculum is set to be introduced into state schools from September 2014 in the hope that it will help begin a new chapter for the British technology industry. "All we actually have to do is hold the line for a year," said Upton. "We don't want any more changes to this document, it's already perfect. "Lock it in [Microsoft] Word and throw away the password. It's perfect already, don't screw it up."